Leflirtini is definitely no stranger in the blogshop sphere! I remember how i loved doing advertorial posts for them in April 09 and Nov 09! Boy! They have gone a long way! Recently i received an email from the ladies behind the business for rates. This time, to grace their latest manufactured pieces. This cream work piece is actually the first piece that caught my eye! Cross my heart, i didn't know this was their manufactured piece until the end of the shoot. This manufactured baby is available in a few more colors like navy and grey! Definitely a color that you will fall in love with! another piece that an OL should have! P/s: I already wore this piece to work to very next day after this shoot! One reason is that it doesn't crumples! So i didn't have to iron it! HEHE! Now i sound soo lazy! let me share the pieces for school and play! a casual top that goes well with high waist shorts or skirt! How can i forget? The maxi dress that color looks so gorgeous! Leflirtini has launched! Be there or be square!!!! I love your ribbon shoes! Where did u get them? 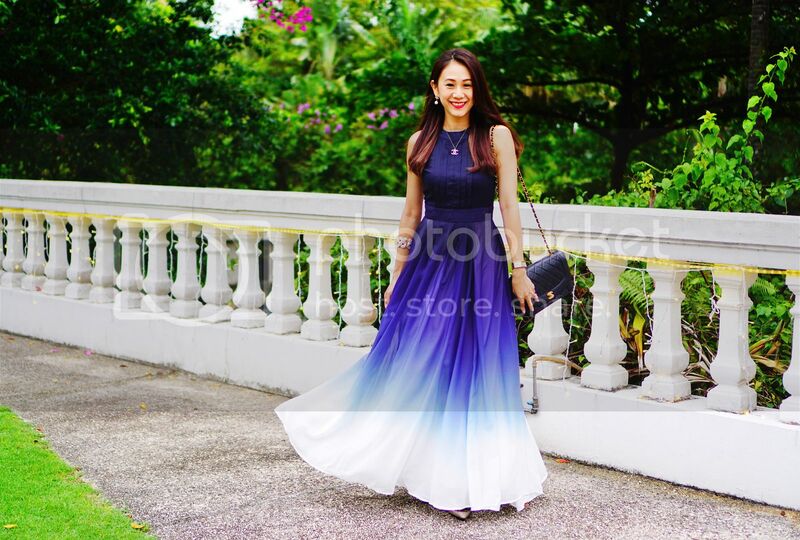 OMG I WANT THE MAXI DRESS!!!!!!!!!!!!! ♥Zoe Raymond: Hey Oliver! Thanks! ♥Zoe Raymond: Thanks Fyn! I dont buy at a particular place! Haha! I usually get mine from Fareast, Wisma, bugis!!! So no definite place to recommend! hey.. where did you get your ribbon heels?